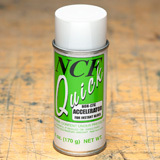 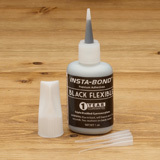 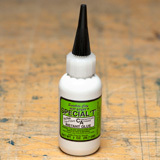 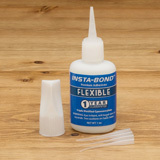 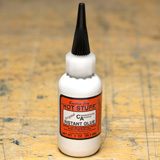 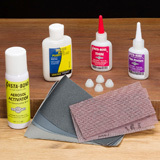 Insta-Bond and Hot Stuff Cyanoacrylate adhesives have long been the most trusted names in wood turning. 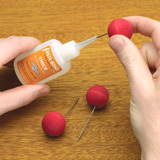 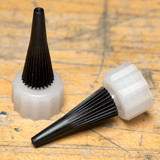 Cyanoacrylate or “super glue” has long been used by woodturners for gluing pen tubes, turning projects, repairing cracks in wood and even gluing waste blocks onto bowl blanks. 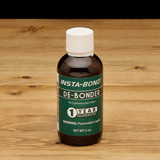 Triple distilled to create a stronger, longer lasting bond, Insta-Bond CA won’t let you down. Also, try our Insta-Bond CA Pen Finish that’s perfect for finishing pens and other small projects for superb wear resistance and glass-like finish.